MAYUR GROUP PVT LTD is an EXCELLENT builder. 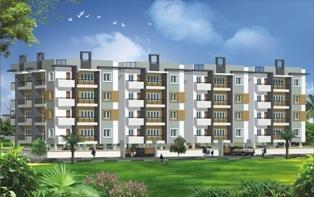 It has 9 on-going projects with total inventory value of Rs.3102 Cr and 3 completed Projects. Mayur Group is a company whose business philosophy lies in the commitment to creating architectural marvels using state-of-the-art technology and architectural, construction and business practices. We are passionate about providing cost-effective and holistic solutions for our customers while creating and adding value for our clients. Mayur Group aim to exceed expectations and create "a built environment" of lasting impact. At the heart of our success is the perfect blend of man and machine, working in unison and to a precise plan to create world class infrastructure with all facility. Mayur as a group strive to achieve the highest degree of technical excellence while maintaining the finest standards of business practices in all our endeavors. We seek to bring in newness and fresh energy into the organization. Mayur Group with elite taste, also emphasis to implement the concept of Eco Friendly City, integrating Environment Protection Measures in all projects, with a defined implementation process. Mayur Group is a company whose business philosophy lies in the commitment to creating architectural marvels using state-of-the-art technology and architectural, construction and business practices. We are passionate about providing cost-effective and holistic solutions for our customers while creating and adding value for our clients.